Thailand is one of Southeast Asia’s tourism hotspots. No surprise – from its mystique in cheesy 80s videos (only one night in Bangkok? ), to the endless stories about things that probably should have stayed in Bangkok, it sounds like a pretty great travel destination. And when you land at Bangkok’s state-of-the-art airport, you’ll think you are in heaven; it is my preferred airport for layovers, just because there is so much space to stretch out and, well, layover. The fun ends once you hit inner Bangkok. From streets clogged with traffic to dirt and grime, pickpockets, noise – it all kind of hits you at once. Bangkok can hard on the uninitiated. But don’t let that happen – as long as you know what you’re getting into, you’ll be more than fine. You’ll be wanting to make a return trip. 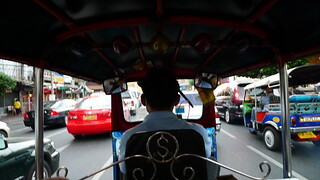 I prefer public transport in Bangkok given the sorry state of the roads – though having said that, a hair-raising run in a tuk-tuk is one of those travel experiences you should really try. But if you do get stuck and need to get to your hotel, more than likely the driver who picks you up will speak rubbish English. However, most hotels have little business cards that have the address written in Thai. When they offer you one at check-in, take it – this is why. It will make your life much simpler, trust me. 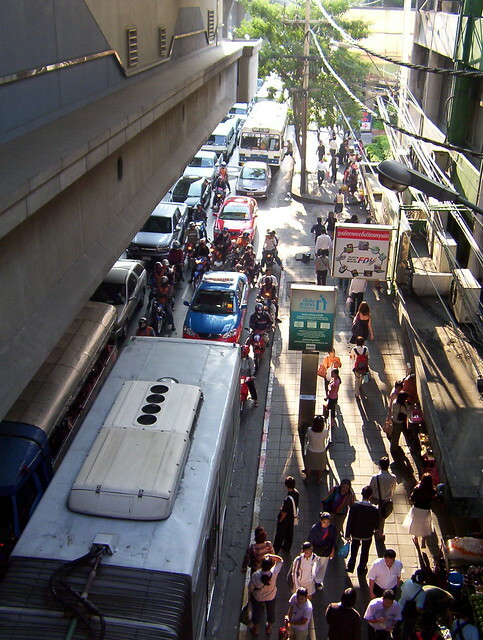 Given the sensational pictures of civil unrest in Bangkok, you’ll want to get a little uneasy. Not so. Sure, that wasn’t the best of times, but for the most part Bangkok is safe – would thousands of expats from America and the UK be living there if it wasn’t? The thing is, you stand out, so you need to be alert. You’re a target for pickpockets, so do what you’d do if you were anywhere else, don’t carry valuables out in the open, do have a secret place to store your documents and extra money. It’s common sense. One note about scammers – I did not experience this but have heard many people talk about the scammers trying to offer you ‘their’ tour of the town. The rule for this is really simple: if you aren’t booking a tour or a guide out of an establishment with an office or a website (e.g. the concierge at your hotel, your travel agent, at a tourism office, etc.) then it probably isn’t a good idea. Do you really want the local recommendations of a guy on a tuk-tuk loitering at your hotel just beyond eyesight of the front desk? Didn’t think so. Bangkok is a pretty big place. It’s confusing to get around – streets aren’t in a grid, and they change names every so often without much notice. And then there’s the humidity; I wouldn’t plan on running a marathon during your visit. So, you’ll need a map, a sturdy one that will surviving lots of folding and unfolding during your fit of rage when that temple should be right here but isn’t. But also take some time to organise yourself. Group attractions together so you’re not running all over the place. Decide whether a group tour might be a better idea for some things – they are plenty of them, and if you book ahead (see previous), you can just show up and let somebody else deal with the map. Do leave yourself some serendipity through. The charm of Bangkok is stumbling upon that hidden noodle place, or just having a beer and soaking up the action. The city is one of a kind, so appreciate it for what it is.